X³: Terran Conflict has gone GOLD! That means that the release version of the game has been approved for production. It also means we are now able to confirm release dates for X³: Terran Conflict! The English language version of X³: Terran Conflict will be available from retail outlets on October 17th, and you can pre-order from the Egosoft Online Shop NOW. X³: Terran Conflict is also now available from Steam. We have set up a blog for the final stage of the X3: Terran Conflict development where we will post interviews with some of the developers and focus on their area of work. Bobby "Syklon" Wilkinson and Alex Preuss have already made a start. Update (8th August) - German website PC Games now has a new video available (but only in German). Thanks to Unknown for pointing it out! Update (11 September) - Original X3: Terran Conflict Gold thread. There are more details in the recent X-Universe News releases. I still hope we get an oppourtunity for a Q&A session before release, the Dev blog is a nice addition and I'm sure all X fans appreciate the time and effort taken to add your various bits. Nice, [edit this was wrong =] although i wouldn't use that autocad program i'd use 3d max or lightwave (lightwave i use) as its far better for optimization work. Oh and nice teaser pic of the new solar plants i think they are. Tho not sure if i like the new or older ones tbh yet as in design wise. One last thing. Isn't that long cylinder station or cap ship basically the replicator ship off Stargate series? Last edited by Skeeter on Wed, 27. Aug 08, 18:52, edited 2 times in total. I think you need to look more carefully. That is 3DS Max. Lightwave fan myself hence why i didn't recognise max there. So for Terran Conflict we'll be fighting a giant, cybernetic, toilet paper roll? In all seriousness, it's great to see the devs finally get to giving us some insight to the game before its release. I was wondering about the sudden spike in cinematic quality for X3:TC, and I'm glad to meet the man behind it. The best of luck to you, Egosoft. KloHunt3r wrote: So for Terran Conflict we'll be fighting a giant, cybernetic, toilet paper roll? I'm really looking forward to the new Terran stations. 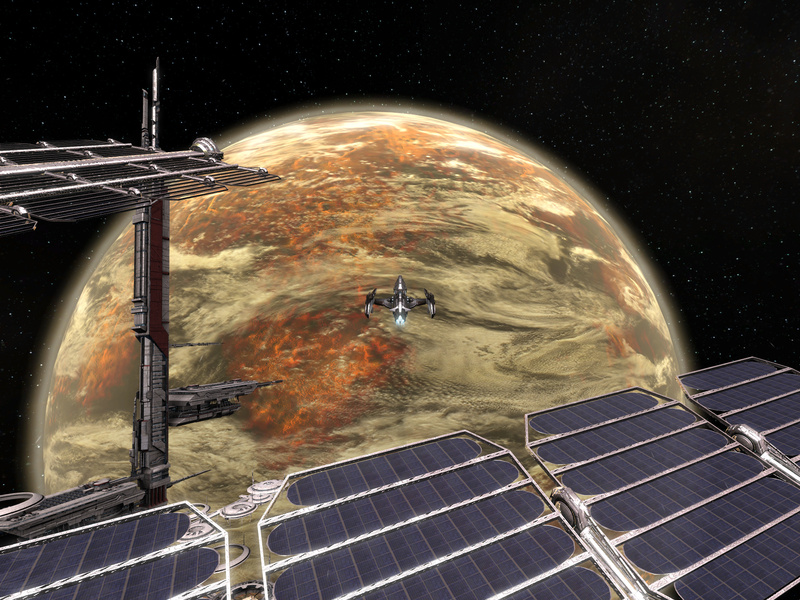 They really deliver a far more significant sense of scale than those of the original X3: Reunion space stations. Terran architecture has a very clean, efficient style to it. It reminds me of mid-twentieth century science-fiction literature.